Daring to be different, Etheridge robber frogs (Eleutherodactylus etheridgei) are part of a sub-family of frogs whose young hatch as little frogs instead of tadpoles. 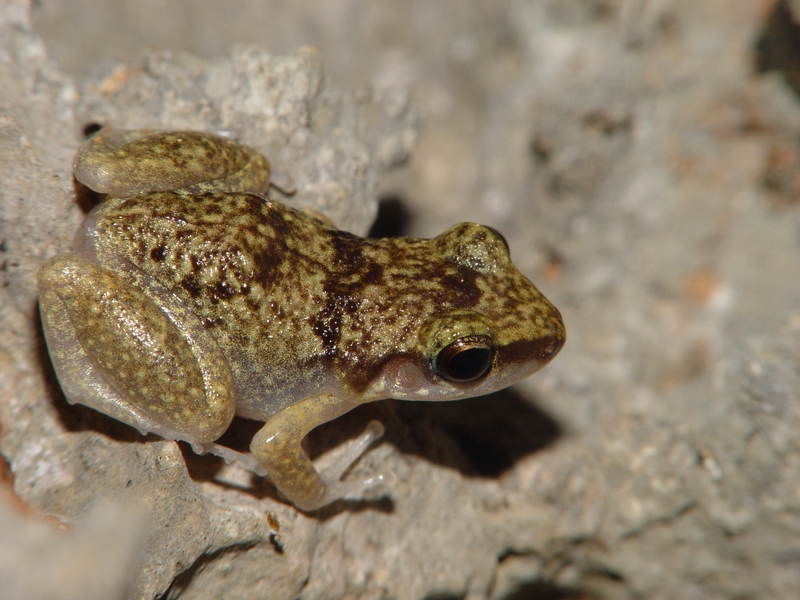 And also unlike many other frogs, these little guys prefer rocky hillsides and dense forest to big ponds. Predators might mistake their grayish green bodies for tiny pebbles and overlook their would-be prey. Unfortunately, there are other big troubles for this little guy, including deforestation. The frog is native to Cuba where buildings and developments for tourists’ attractions continue to disturb its home. This entry was posted in biodiversity, Cute Frog of the Week and tagged Cute Frog of the Week, Eleutherodactylus etheridgei, Etheridge's robber frog by Lindsay. Bookmark the permalink.